4k00:19Snowboarder on top of the mountain. Snowboarder on the summit. Looking down the valley. Freeride snowboarding. Fresh powder. 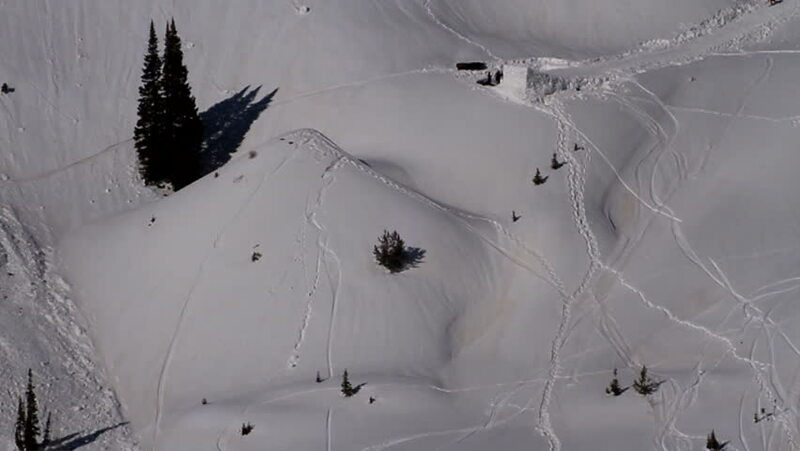 Aerial view of a ski resort in the mountains covered with snow. .